Location: Originally on the west side of Connaught Road - the site is immediately to the south of the Fox@Connaught (formerly Connaught Tavern) pub. Notes: Although Connaught Road Station opened on 3rd August 1880 it didn't appear in timetables until November 1880. 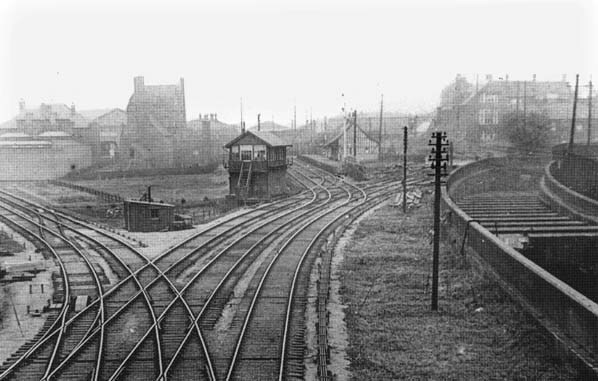 The station was located 220 yards to the east of Albert Dock Junction. The main building on the up side of the line was built in a mock Tudor style with a small waiting shelter on the down platform. Nothing remained of the station by the mid 1950's. 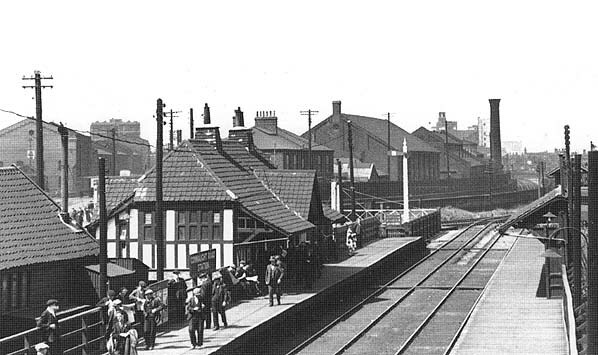 Connaught Road station in the 1930's looking west towards Albert Dock Junction. Looking east towards Connaught Road Station. 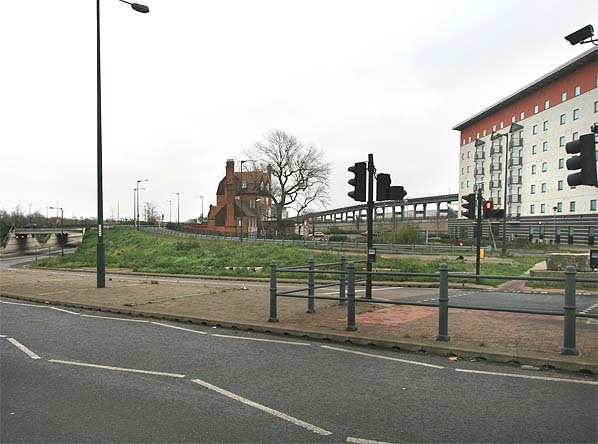 The Beckton branch diverges to the left with the 1855 route to North Woolwich goes to the right. The later deviation of the North Woolwich line is seen on the extreme right and is the approach to the tunnel taking the line beneath the cut linking the Royal Victoria and Royal Albert Docks). The site of Connaught Road Station taken from a similar viewpoint to the picture above, only the Connaught Tavern (now the Fox@Connaught) in the middle distance links the two photographs.